The Charlotte Iron Bed | Wrought Iron & Brass Bed Co. The Charlotte Iron Bed is named after our son Harry’s best friend from secondary school. 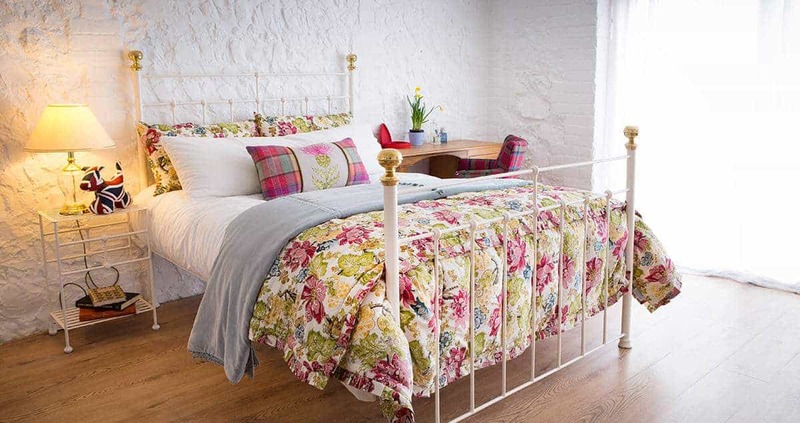 Charlotte like all our iron beds offers a simple yet traditional style and offers a simplistic yet elegant bed frame. 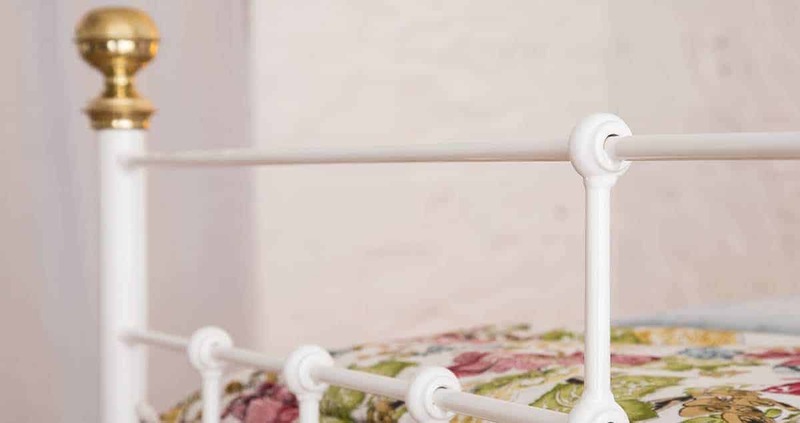 The Charlotte iron bed takes our favourite parts of the Sophie Iron Bed and our much-loved parts of the Beatrice Iron and brass bed. Charlotte is solid and weighty with cast iron knuckles, feet and bed knobs; it looks beautiful here in Ivory and Brass. Care instructions: Clean iron work with a damp cloth and gently wipe over surface. Heavy impacts may damage the powder coated finish.